Take care of your body, and it will take care of you. 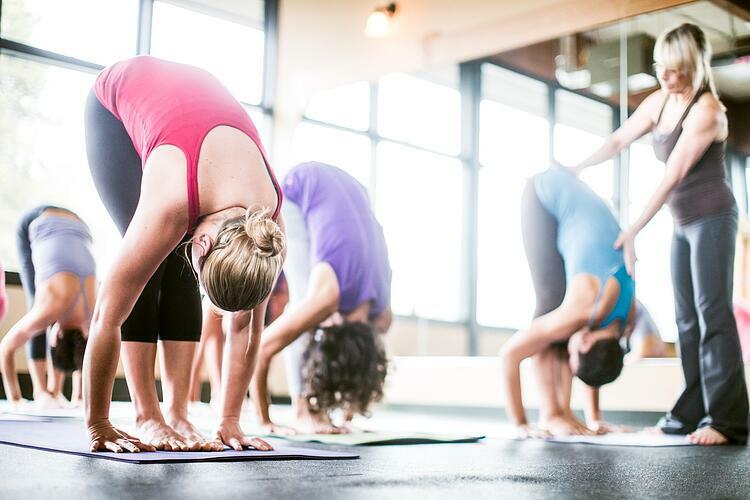 Our Elk Grove yoga classes offer the perfect way to unwind and find your peaceful place after a stressful day, while burning calories, building strength and increasing flexibility. Our yoga class options in Elk Grove include yoga classes for kids, pregnant women and everyone in between. Best of all, they are provided at no additional charge to Cal Fit members! Indulge in a superior mind-body experience with our Elk Grove yoga classes. If you would like to view classes at our other Elk Grove location, visit the Laguna gym page. Go back to the main Elk Grove gym page. 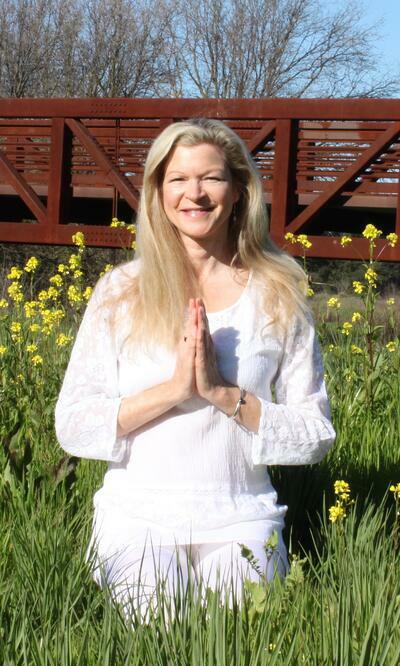 Meet an Elk Grove Yoga Instructor! Education/certifications: AMI Montessori teacher diploma and Post Secondary Education certificate; Reflexology, Reiki, Yoga & Pilates certifications. Favorite workout: I like variety in my work outs so I mix up my week with cardio, weights, core, fun challenges and of course blissful yoga! Nature offers up endless adventures for exercise yet I also love to take a class at the gym or when I travel. Favorite food: My favorite food is either grown locally or comes from my own back yard. I enjoy being creative in the kitchen with whatever is in season. Reason for becoming a yoga instructor: I was introduced to yoga in 1978. My practice came and went as I spent the next 25 years lovingly devoted to Montessori education and raising a family. In 1997, I had a strong shift and calling to change career paths to the healing services of Reflexology, Reiki and Yoga. It has been and still is, an honor to share the special gifts of body work and the many helpful tools yoga offers us as we move through this amazing life that contains both joy and sorrow. Best thing about Elk Grove: Definitely the community! I have lived in Elk Grove for 27 years and have formed some beautiful friendships. I still have several original neighbors! Even with all of the growth over the years, it still feels like a small town to me. We offer all levels of yoga, from Gentle to Power Yoga. Within each level, each class may be different, as it is a reflection of the instructor's unique training and personality. Every class works on poses to improve your strength, flexibility and balance, with some relaxation time at the end. Gentle Yoga focuses on the easier poses, holding them for relatively short amounts of time. This is an excellent entry point for beginners, and accessible to seniors or those recovering from injury. Power Yoga consists of the more challenging standing and balancing poses. Poses may be held for longer, or may be linked with each breath with little rest or transition time in between. Families that play together, relax together. Elk Grove yoga is an exploration of strength, balance, flexibility and a whole lot of fun for the whole family! Many of our instructors will really play up the poses that have names that kids can relate to, like Tree, Down Dog, or Happy Baby...which will hopefully lead to the Napping Child pose. Children ages 3 and up are welcome to attend Family Yoga. All other Elk Grove yoga classes are available for ages 12 and up. And since we're one of the few Elk Grove gyms with childcare, kids who aren't in a Down Dog mood can always enjoy supervised play while you get your Namaste on. In Pilates classes, you will develop a strong core and learn to control your body's movement. Quality of movement is valued over number of repetitions, resulting in long, lean muscles. Pilates is considered a mind-body workout because of the emphasis on breathing technique, which reduces stress. Another benefit of Elk Grove Pilates classes is improved flexibility. By balancing flexibility with strength, your body is less likely to experience injury. You're also less likely to suffer from chronic back pain.